jobs non_govt_jobs Union Community Health Center Job Circular January 2018 published! Union Community Health Center Job Circular January 2018 published! Union Community Health Center Job Circular January 2018 has been published! 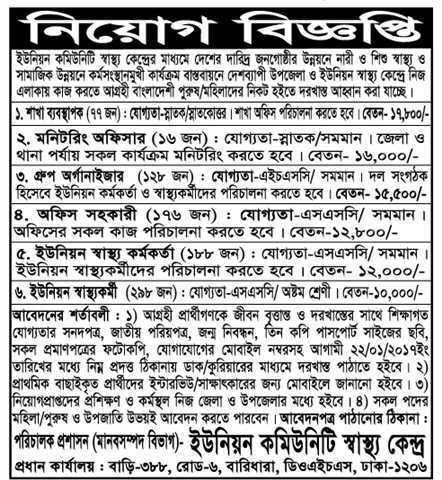 Details of the Union Community Health Center Job circular is given below. All educational documents, National ID card, Birth certificate, 3 copy pp size picture. mobile number should be sent with application form within 22/1/2018. See address in the circular.